On 24th December 2015, IEEE AIUB Student Branch organized a talk titled “Talk on Presentation Skills for Students, Young Professionals and Researchers” by Margaretha Eriksson, Director-Elect 2015-2016, IEEE Region 8; Treasurer, IEEE Sweden Section, IEEE Region 8 in Room No. 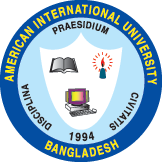 266, Faculty of Engineering (FE) Building, American International University-Bangladesh (AIUB). The talk was aimed at introducing the 70+ participants to essential tips and tricks that can aid one while delivering a presentation, along with how to prepare presentation slides, reports and meeting minutes. Prof. Dr. A. B. M. Siddique Hossain, Honorable Dean, Faculty of Engineering, AIUB & Advisor of IEEE AIUB Student Branch initiated the event by welcoming the guests and participants and delivering a short introductory speech. He was followed by the keynote speaker, Ms. Margaretha Eriksson, who began by giving an outline of the topics to be discussed. Ms. Eriksson started off by demonstrating a standard TED Talk in 20 minutes. Through this, she explained the “do’s and don’ts” of giving a presentation, while simultaneously setting an example and highlighting the effectiveness of a brief, but impactful talk. Next, she focused on how to write formal reports and minutes of meetings. Here, she emphasized on the importance of always maintaining a basic layout and taking the help of mind maps and action points to improve efficiency and convenience while writing. Due to the immense success of her talk, upon request, she decided to extend it, to include the “Art of Networking for Career Advancement”. In this second phase, Ms. Eriksson questioned the need for networking and how networking opportunities can be created. She then proceeded to deliver the answer through an interactive group discussion. Furthermore, she stressed on the significance of projecting a friendly and presentable, but also a smart and formal approach while meeting new people through slide images and gestures. The event concluded as Dr. Md. Abdur Rahman, Director, Faculty of Engineering, AIUB & Advisor of IEEE AIUB Student Branch gave a concluding speech, where he thanked the participants as well as Ms. Eriksson for her valuable time and effort in visiting the university and presenting her talk. Following this, Prof. Dr. A. B. M. Siddique Hossain joined him, as they presented Ms. Eriksson with a small token of appreciation and a crest for her time and participation to support the event. The event was further graced by the presence of Dr. Md. Abdul Mannan, Head of Undergraduate program, Faculty of Engineering, AIUB; Mr. Farhadur Arifin, Assistant Professor, Faculty of Engineering, AIUB & Counselor of IEEE AIUB Student Branch; Dr. M. Tanseer Ali, Assistant Professor, Faculty of Engineering, AIUB; Mr. Ebad Zahir, Assistant Professor, Faculty of Engineering, AIUB; Mr. M. S. Muhit, Assistant Professor, Faculty of Engineering, AIUB; Ms. Nadia Afroze, Lecturer, Faculty of Engineering, AIUB; Ms. Nadia Anam, Lecturer, Faculty of Engineering, AIUB; Mr. Raja Rashidul Hasan, Lecturer, Faculty of Engineering, AIUB and Mr. Shahriar Hasan, Lecturer, Faculty of Engineering, AIUB & Motivator of IEEE AIUB Student Branch.